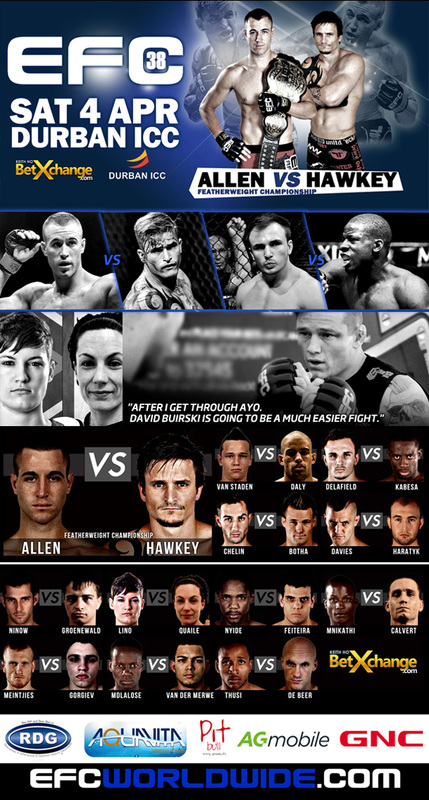 Durban, South Africa – EFC 38 is headlined by the title fight between Wesley ‘Young Assassin’ Hawkey and Boyd Allen. Meeting for the second time in their careers, Durban’s own Wesley Hawkey will need the full support of his hometown behind him as he faces the biggest challenge of his life and looks for redemption against the reigning champion Boyd Allen. Featuring as the penultimate bout on the main card Martin ‘The Punisher’ van Staden, originally from Durban, and Irishman Ayo Daly meet on Durban soil. Van Staden was set to face Peter Queally, however Queally withdrew from the bout due to an injury. 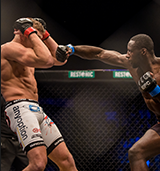 Irish counterpart Ayo Daly stepped up to the challenge and dropped everything for the opportunity to face one of Durban’s best welterweights in his hometown. Local favourite Saxon Delafield returns to the Hexagon and goes head-to head with the undefeated Igeu Kabesa. 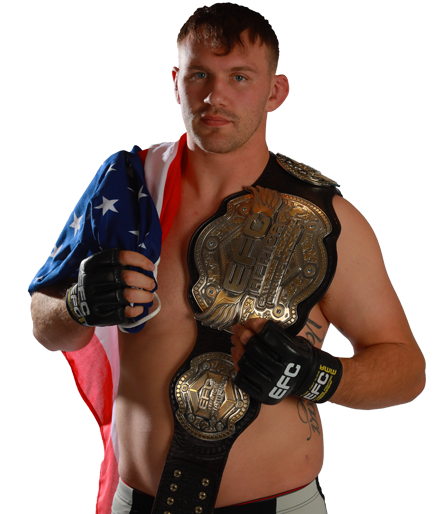 In Delafield’s last Hexagon appearance he won convincingly with a submission in the first round. In Igeu ‘Smiley’ Kabesa, he faces an unbeaten wrestling phenomenon. 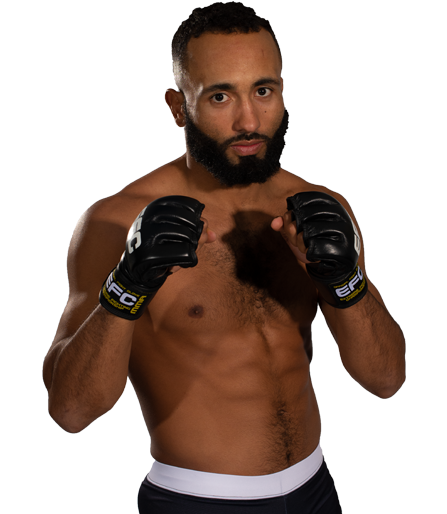 Kabesa is running a four fight win streak and is racing up the rankings. A win here for either will catapult them within reach of the top of the division. Undefeated Tyson Chelin looks to continue his winning streak and extending it to four in a row. Standing opposite Chelin however is Springbok wrestler and knockout artist Hanru Botha. The wrestler holds two of the most talked about walk-off knock outs in EFC history, but will his power be enough to deal with the calm technical prowess of Chelin? Opening the main card will see South Africa’s Keron ‘Skinner’ Davies welcome the Polish Rafal Haratyk in his first EFC encounter. 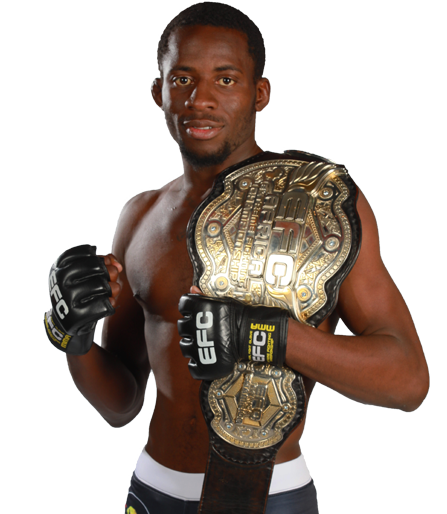 Davies makes his return to the Hexagon and this Saturday will be the first time he competes at EFC in front of his hometown Durban crowd. 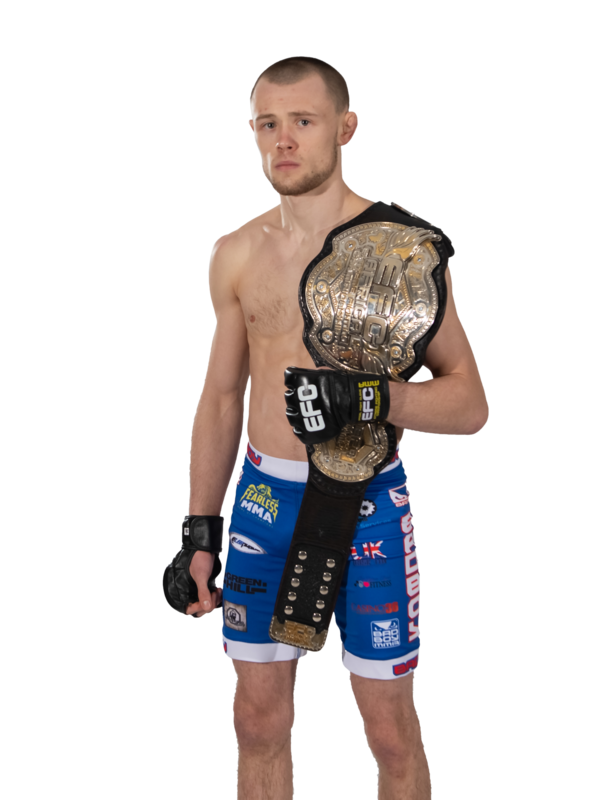 His opponent is the organisations first Polish signing. 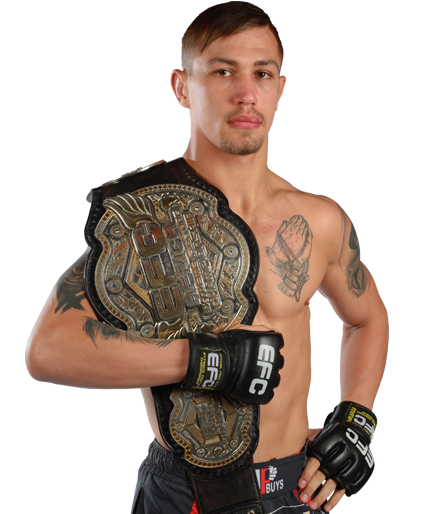 Haratyk is known for exciting fights that encompass all aspects of MMA. 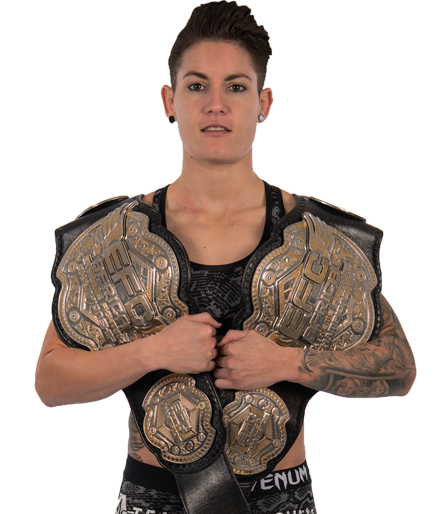 The card is rounded off with seven action packed prelim bouts with some of the best MMA talents from around the world, including the second ever EFC Women’s MMA bout between South African Amanda ‘Mad Dog’ Lino and Ireland’s Stephanie Quaile. Both athletes will be making their professional debut, but enter the Hexagon with sterling amateur records and titles. Get to the arena and watch live! 12 Action packed bouts in one night. Athletes hit the scales and face-off ahead of fight night. 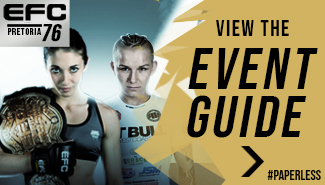 Entrance is free, and as always, huge EFC merchandise giveaways will take place.